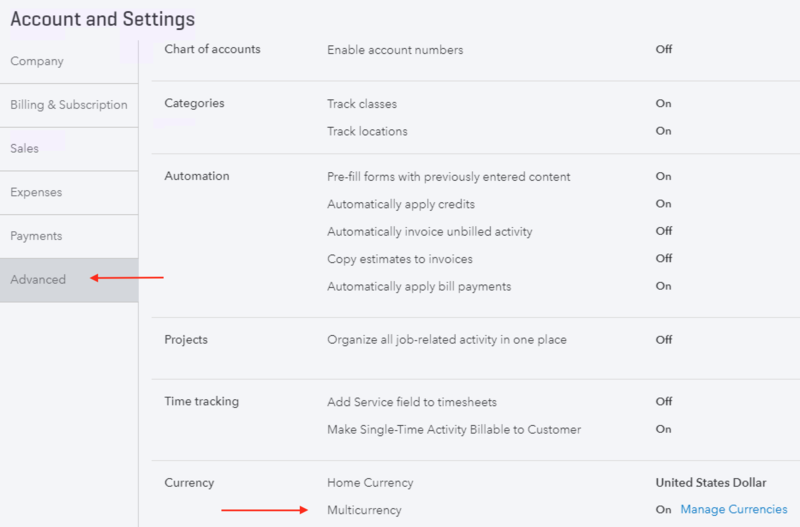 Do I need to enable multicurrency support in QuickBooks Online? You do not need to enable Multicurrency support in QuickBooks Online in order for SellerZen to work if you are only selling on the US marketplace. However, if you plan on selling on foreign marketplaces, you'll need to enable this option. Once you enable multicurrency support, you will not be able to reverse the change. Multicurrency can be enabled under the Gear Icon > Account and Settings > Advanced.